LOS ANGELES (AFP) - Johnny Depp was hit with a restraining order on Friday after his wife appeared in court with a black eye and accused the Oscar-nominated star of assaulting her, an official told AFP. Heard submitted pictures to the court to support her claims of abuse and said she feared Depp might harm her. She added that Depp has a "totally acknowledged public and private history of drug and alcohol abuse," and that she was scared of his temper. 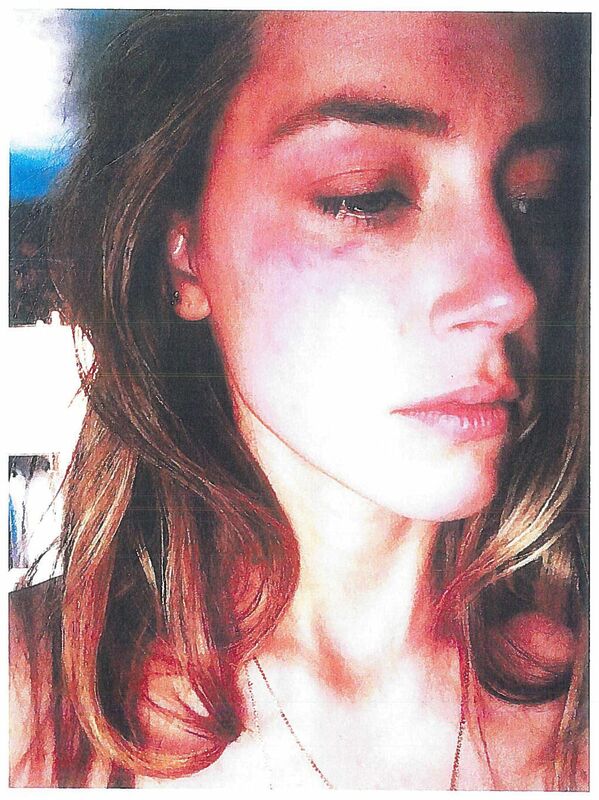 TMZ published a picture showing Heard, with bruising around her right eye, reporting that the actress says it was taken shortly after Depp smashed his iPhone into her face on Saturday night. Heard claimed in court documents that a drunk and "high" Depp “began obsessing over something that wasn’t true”, and grabbed her mobile phone. He then "wound up his arm like a baseball pitcher and threw the cell phone at me striking my cheek and eye with great force", the Daily Mail reported quoting the court documents. "He then forcibly pulled back my hair as I attempted to stand up from the sofa. Johnny continued screaming at me, pulling my hair, striking me and violently grabbing my face," the court filing states. The attack only ended when a friend that Heard had texted turned up at their condominium. Depp then picked up a magnum bottle of champagne and used it to "smash everything that he could", Heard claims. She also said that there was one incident in December last year where she "truly feared that my life was in danger", E Online reported. "Heard claims after he allegedly hit her, he offered her money to stay quiet, but instead she filed for divorce first thing Monday morning," TMZ reported. It added, however, that Heard refused to file charges against her husband when police showed up at their residence on Saturday. The website noted that Heard says she is facing an immediate threat of harm from Depp, even though the actor is in Europe promoting his new film Alice Through The Looking Glass, which was released on Friday. The court order, which is in effect until June 17, bans Depp from coming within 100 yards (91m) of Heard. An opposing document filed by Depp’s lawyers claims that “Amber is attempting to secure a premature financial resolution by alleging abuse”, the Guardian said. She was also granted the right to live in the marital home, but failed in her bid for sole custody of one of their dogs. Amber's request that Depp be kept away from Pistol, her Yorkshire terrier was rejected as the judge said there was not enough evidence the dog needs protection. Depp's lawyer Laura Wasser denied requests for comment, while Heard's attorney Samantha Spector was not immediately available. The couple's two Yorkshire terriers, Pistol and Boo, made headlines last year when they ran into legal trouble in Australia. Depp and Heard brought the dogs into Australia where he was filming the latest Pirates Of The Caribbean movie, breaching the country’s tight biosecurity laws. A video of a deadpan apology by Depp and Heard for the offence, gleefully dubbed the “war on terrier” by the Australian media, later went viral.